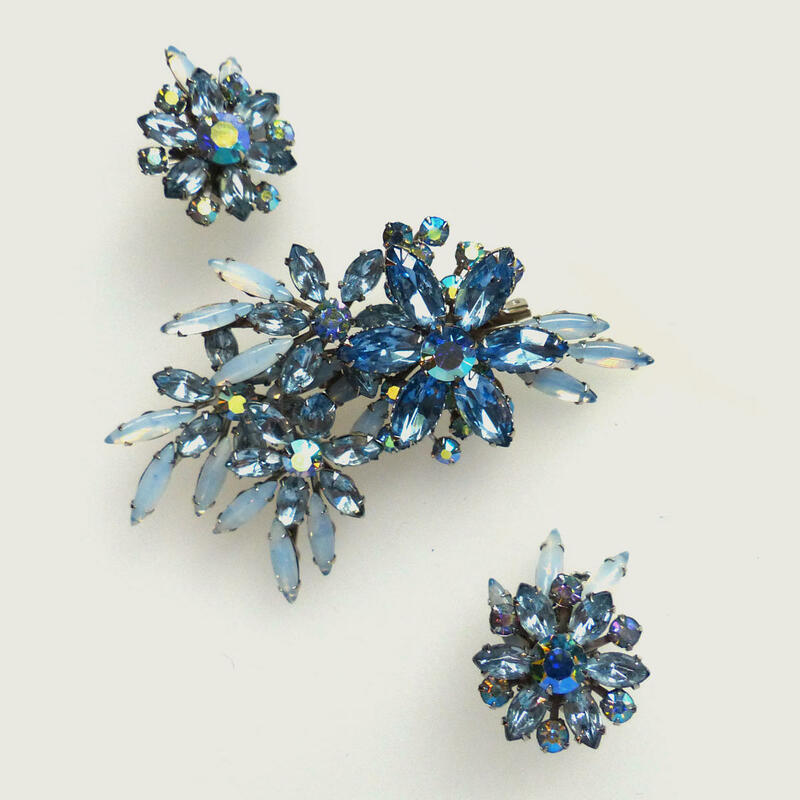 Exquisite large spray brooch with claw-set daisies of light blue navettes, edged with claw-set moonstone blue stones and with aurora borealis centres. Matching clip earrings. The style is "Fireworks"